The appealing facade of this 2-story home points to more charm inside! A grand foyer leads you into the 2-story great room, featuring a fireplace and storage for games and gear. A 15' retractable glass door opens up to a covered patio-perfect for parties! Alongside is a chef's kitchen with a walk-in pantry, island and breakfast area. A pass-thru goes to the dining room. 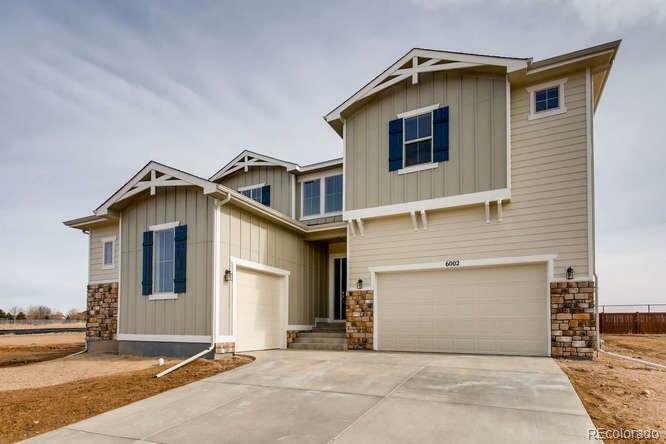 Upstairs are 3 bedrooms and 2 baths, and a private master wing with large walk-in closet and gorgeous 5-piece bath! Enjoy! Offered by Hub Real Estate, Llc.